In the printing process of thin paper, we often encounter this phenomenon: Sometimes the deviation appears in the horizontal dimension of the printing plate, the error is generally less than 1mm, but sometimes it reaches 3 ~ 4mm. And the farther away from the unit, the greater the error in the horizontal overprint. In addition, sometimes the problem of overprinting is also reflected in the diagonal layout of the entire layout. One overprint is intact, but the other end is not small. Through years of practical operation, it has been found that these problems are mainly caused by the combination of the two opposite processes of paper moisture absorption and heat drying. Gravure printing machine printing speed is very fast, drying temperature is very high, the temperature of the paper is basically consistent, how can it absorb moisture? The moisture absorption of paper has two aspects. First, in the unwinding part, after the roll paper is unwound, in the paper head part, the application of the front side of the paper may hinder some moisture from entering the paper, while the back surface is exposed to relatively more moisture. In general, the paper Will increase 2% to 3% of moisture. Second, green printing is now advocated, and water-based inks are gradually being used in gravure printing, including waterborne varnish. If a large area of â€‹â€‹printing water-based ink, the surface of the paper will be temporarily deformed due to moisture, after drying at high temperatures, the damp part will shrink and make the paper lateral size becomes smaller. If the heating temperature of the oven is higher, the more moisture in the paper will be volatilized, the greater the deformation and shrinkage of the paper, and the overprinting will occur when the next color is printed. In addition, whether the moisture content of the paper in the web is uniform or not, and if the water content in the front and back of the paper roll and in the middle of the paper roll are not uniform, such a problem also occurs. Solve the thin paper printing and shrinking method is to properly increase the speed of printing, to reduce the heating temperature as much as possible, reduce unnecessary hot air drying, printing ink does not anti-stick, do not fade the premise. In addition, excessive paper tension will also cause the paper width to change during the transfer process, resulting in inaccurate horizontal overprint, but it also needs to be analyzed when encountering specific problems. 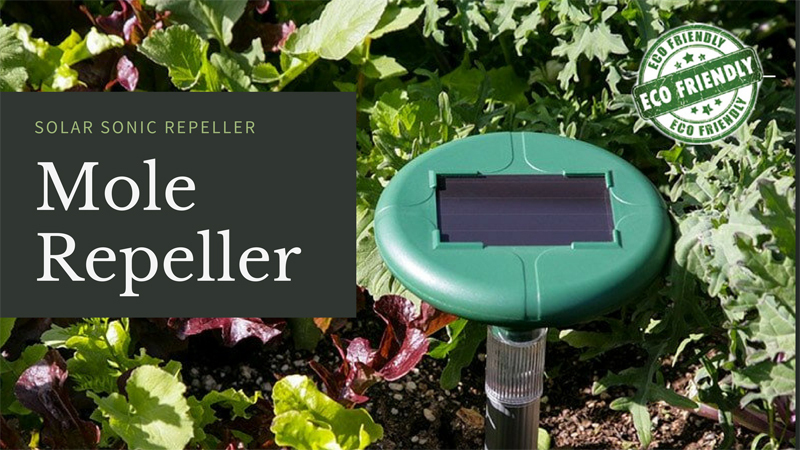 Mole repellers would be a humane way to get eliminate moles and alternative rodents that may cause hassle in your field and garden. The mole repellers turn out sounds that humans can`t hear, and pets aren`t fazed by, that drives smaller critters up the wall, or at least out of your yard. It`s up to you whether to believe that`s what it`s doing because since you can`t hear it operating, you only ought to leave it to faith and observable results. These sonic Mole Repeller is primarily featured by safety, no chemical, odorless, no harm to pets and other no-target animals. Compared to other competitors, this device is more clean and tidy, and could be used year and year.